The claycourt season is here and where better to start than in stunning Monte Carlo? The switch to clay promises a more exciting brand of tennis than we've seen at times during the hardcourt season, where some of the tennis has become a little 'samey'. Andy Murray won one of the most dramatic Masters finals I've ever seen on Sunday and is now in a great place ahead of the upcoming clay court season. The three-set Sony Open final in Miami between Murray and Ferrer may not have been of the highest quality but it kept you on the edge of your seat throughout. Get Barry's view on the news that Roger Draper will step down as chief executive of The LTA in September. 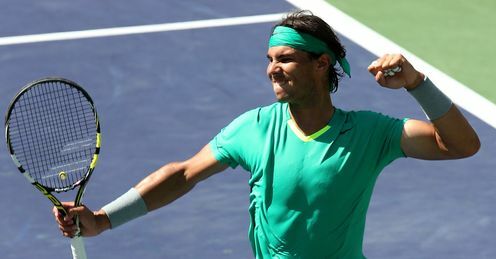 Rafael Nadal has clearly lost none of his fire and, on the evidence of his incredible victory in Indian Wells, has returned in 2013 as an improved player. Rafa has always been intelligent and it is now abundantly clear that he's thought very carefully about his game during his seven months out injured and worked hard on certain areas to ensure that he keeps pace with the best in the world.